Brisbane, also known as the sunshine capital of Australia enjoys an enviable climate of warm, bright summers and clear mild winters - An ideal place to visit all year round. There are a number of popular holiday regions close to Brisbane with the Gold Coast and Sunshine Coasts which are only an hour’s drive north and south from Brisbane. 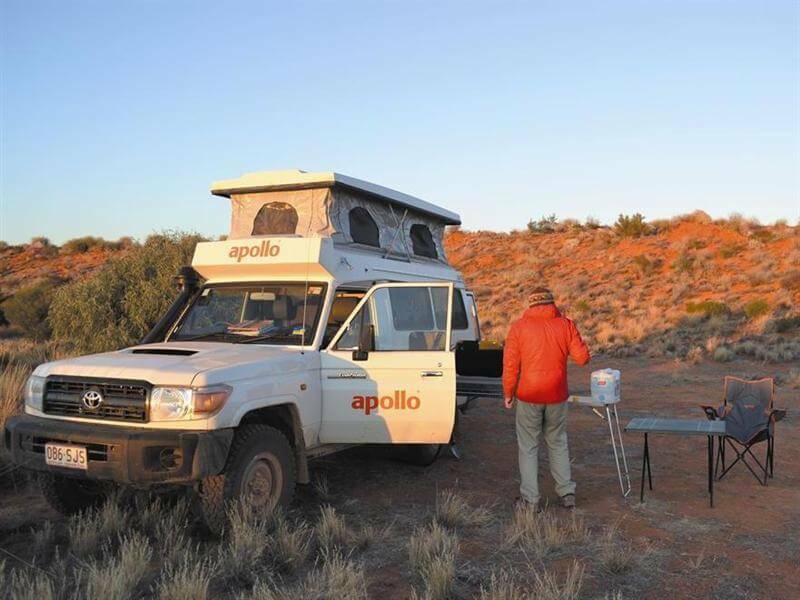 Aussie Campervans offers 4x4 rental for campers and 4WD cars in Brisbane – the perfect place to start your Australian 4WD experience. You can find lots of tourist attractions on the outskirts of Brisbane and explore the many four-wheel-drive tracks and discover some of Australia’s best beaches and rainforest in the region. It is said to be every man’s dream to explore this 4x4 track who loves to have an adventure. Located just in the north of Brisbane along the Bruce Highway. Take a left turn to Steve Irwin Way and then onto Bahrs Road, which is just five minutes away on your four-wheel-drive vehicle. Further down the road take another left turn to experience some of the most amazing 4WD camper drives you will encounter. From steep descent to rut tracks and huge mud holes - you will thoroughly enjoy the 4WD adventure this place has to offer. The track conditions change frequently, so be cautious as tracks may become completely impassable in wet weather. We recommend you to plan your trip and have a fair idea of your route and leave ample time to exit before nightfall. Do not attempt this track when there is much rain in the area or you may get bogged in the clay. Just 40 km out of Brisbane you will find some amazing wildlife and scenery. The Island can only be traversed in a 4x4 rental vehicle and there are plenty of 4wd tracks with more than 40km of beach to drive on. Ensure that your vehicle has a good clearance when attempting to cross over on the inland tracks as these tracks are sandy and you can easily get bogged in the soft sand. Note: There are a number of sections of the beach that you can’t drive on. There are passenger ferries, taking people to the wrecks which is certainly worth checking out. Spend a leisurely afternoon, swimming and snorkelling. View the abundance of marine life at the wrecks. For 360° degree views of the island, climb up to the lighthouse on Cape Moreton. Here, you will see the Mount Tempest, the biggest sand dune in the world and these stunning views are certainly well worth the climb. If you are a 4WD enthusiast, it is a must-do track when you head to Fraser Island. This scenic 36km drive starts at Happy Valley and heads northwest towards Yidney Scrub. You will be crossing through rainforest, woodlands and past the Boomerang Lakes. The Northern Forests tracks are for experienced 4x4 drivers only. These tracks are very rough with deep ruts and soft sand and for the most part of the track, you will go through dense rainforest. The area offers much diversity and you must not miss the opportunity to visit and experience this adventure on your itinerary to Fraser Island. Drive on the beach only when the tide is low. The risk of a rollover is high during high tide. Visit Lake Garawongera or Lake Allom – both offer very nice picnic grounds and amenities. You can also continue on to Knifeblade Sandblow lookout before reaching the eastern beach where the campsites are located. Vehicle access to Fraser Island is by Ferry (Barge) only. Permits are required for beach driving on Fraser Island, which can be obtained from the Queensland Parks Booking Website. Driving instructions are also issued which should be adhered to as driving on sand can be a tricky proposition. Four-wheel driving is only allowed on Flinders Beach and Main Beach and designated access points. Driving is not permitted on beaches 45 minutes on either side at the high tide time.